On July 18 th 1994, The Secretary of State for Scotland signed the Order under the Freshwater and Salmon Fisheries (Scotland) Act 1976, which declared that the main stem of the River Clyde, on both banks, from the point where it leaves the Daer Reservoir, and is known as Daer Water, downstream to the downstream side of Bothwell Bridge is a PROTECTED WATER. 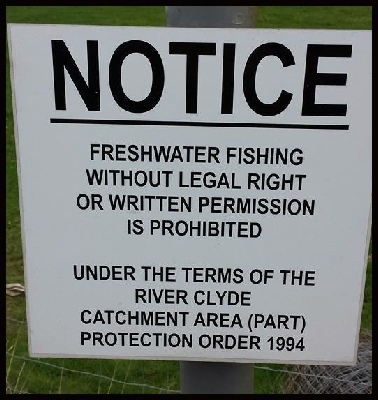 This Order came into force on October 7th, 1994 and from that date fishing for or taking freshwater fish in these waters without legal right or without written permission from a person having such a right is hereby prohibited and a criminal offence. This Order is not an exclusion order as believed by some misinformed anglers. All who are prepared to behave in a responsible manner by purchasing the appropriate permit, are welcomed to fish the river. appointed salmon bailiffs who protect the fishing from illegal fishing and exploitation. 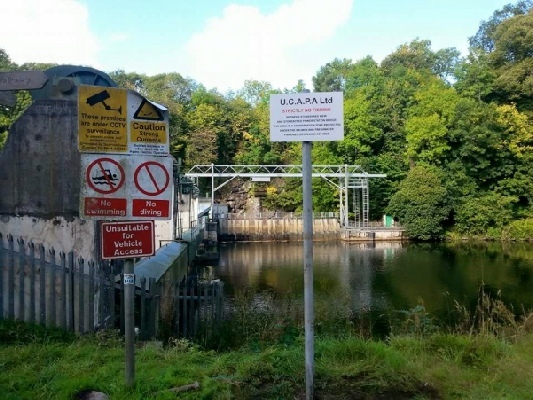 Please be aware that there is strictly no angling between stonebyers weir and stonebyers power station bridge. This is a designated salmon conservation zone. 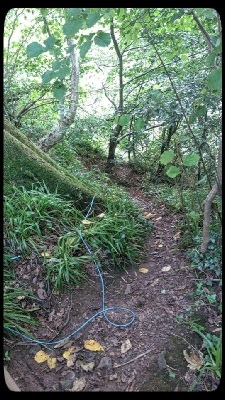 Fishing in this area will not be tolerated. 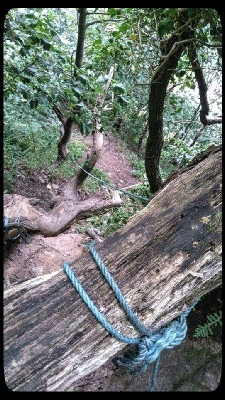 Bailiffs removed 40 meters of rope today used by poachers to access the waterfalls.